The authorities at the Karnataka Transport Department hatched a plan to decongest the crowded and congested Central Bus station (officially called the Kempegowda Bus Station, and locally called Majestic) located right opposite the City Railway Station some time in 2004-5. The new terminus - called the "Satellite Bus Station" was planned at a place called "Guddadahalli" along the Mysore Road. This place is about 6 kilometres from the existing Terminus at the heart of the city. The place is undoubtedly mordern that the current bus station, but is not even one-fourth the size of the current place! The plan behind the entire move was to decongest the current bus station. The terminus finally was inaugurated sometime in August 2005. As an initial measure, all express services towards Mysore was shifted there. Sometime in August 2007, another 419 services (including 373 of Tamilnadu) were sent there. The terminus is situated away from the city, and for passengers residing around the city or is parts of the city away from Mysore road - reaching the bus station is a nightmare. BMTC was supposed to operate services from different parts of the city to the bus station - both no such services seem to exist these days. Connectivity from the old bus station is poor (except for the courtesy coach services run by KSRTC). The only buses heading towards the bus station (referred to as "MCTC" by the authorities) are those heading to Kengeri/Bidadi from the city. Getting into those buses could be tedious for passengers travelling with luggage. To add salt to their injury, the BMTC stop for buses coming to the city from MCTC is pretty far from the bus station! The bus stop is atleast 500 metres from MCTC, and passengers have to climb a gradient to reach the stop - imagine the plight of passengers walking to the bus station with their luggage after a tedious journey! To add more woes to the passengers, the transport authorities in Karnataka have ordered shifting of 32 services run by the Kerala State Road Transport Corporation there! The services run by Karnataka SRTC towards Kerala (except Volvos) have also shifted there (w.e.f 29 September 2008). Karnataka SRTC operates "Courtesy Coaches" between MCTC and KBS (and vice-versa). Swaraj Mazda buses with a seating capacity of 36 passengers are operated on this route. The fare for a one-way journey is Rs 6. The seating is congested. The driver doubles up as the conductor too. He would start issuing tickets to passengers only after all seats are taken. A negative side of this is that the bus would wait until all seats are taken - this could take a long time in off-peak hours! You can count on these buses if you need to reach MCTC urgently! The travel time could range from about 30 to 70 minutes to cover the 6 kilometre stretch from KBS to MCTC (Thanks to the reckless traffic in Bangalore). The passenger facilities in the bus station is adequate for the current rush handled by the terminus. The terminus has about 21 departure bays spread over 9 platforms. A majority of the platforms are divided between buses operated by Karnataka and Tamilnadu RTCs, while Kerala operates from Platform 6 alone. The parking space for buses are poor. 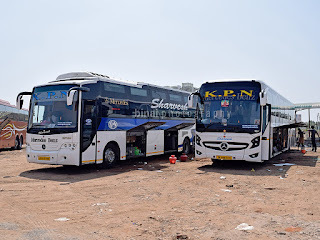 Karnataka's buses use their depot (along the bus station), while Tamil Nadu buses rarely park themselves at the bus station - their services return within minutes of arrival. The buses from Kerala lie-over at the bus station through the day (with very little departures during the day hours). All I can do here is to wish all the best to passengers traveling from there. One suggestion: leave atleast 90 minutes prior to the departure of the bus from the city. Any duration lesser than this would inversely affect your chances of missing the bus! The terminus has poor facilities for operating staff. There is one reservation "office" shared by Tamilnadu and Kerala corporations. To add to your woes - the reservation counter in KBS and MCTC (Kerala) is not interlinked. But it was meant to handle only one-fourth of the load of KBS! The plan behind the entire move was to decongest the current bus station. Absolutely. There are two more such satellite bus terminals proposed at : (a) Peenya (for Mumbai/Goa/Mangalore bound buses); (b) Baiyappanahalli (for Chennai/Vijayawada/Tirupati bound buses). These are expected to be ready by 2010, and are part of a long-term strategy by KSRTC to decongest KBS and the Majestic area in general. If you have travelled to Majestic at night on a weekend/beginning of a vacation, you will be aware of the humongous crowd there due to the number of buses and trains leaving the place. KSRTC is only trying to make life easier for commuters. and for passengers residing around the city or is parts of the city away from Mysore road reaching the bus station is a nightmare. I don't see why. Apart from being positioned on a key arterial road (Mysore Road), the terminus is well-connected by two others - (Chord Road, Outer Ring Road). This actually makes it easier for people living in Rajajinagar, Girinagar, Yeshwantpur, Banashankari, JP Nagar, BTM Layout and Basaveshwaranagar, and none of these places is near Mysore Road! Also note that people living in the extreme north and east of the city would have to travel 15-20 km to reach KBS, and another 6 km would not make much of a difference. This argument is akin to the one raised between HAL and BIAL, or between SBC and YPR, in terms of connectivity. Please note that in all these cases, while a segment of the population is adversely affected, there is another segment of the population that is benefited. This give and take is what people have sadly failed to appreciate. Connectivity from the old bus station is poor (except for the courtesy coach services run by KSRTC). The only buses heading towards the bus station (referred to as "MCTC" by the authorities) are those heading to Kengeri/Bidadi from the city. Getting into those buses could be tedious for passengers travelling with luggage. What is the argument here? If people find it 'tedious' to travel from KBS to MCTC by bus, how did they manage to travel by bus uptil KBS? And if they used their own transport till KBS, what is the problem in taking it 6 km further till MCTC? Besides, once the East-West line of the Bangalore Metro is complete, a walkway would be provided from Deepanjalinagar station to MCTC (about 0.5 km). [This is according to the information given to me by the PRO, BMRC, about a year ago.] The abovementioned proposed satellite bus stations would also be connected by Bangalore Metro. Agreed. But this is only a short term measure. There is a flyover being constructed over the drain near the Gali Anjaneyaswamy temple on Mysore Road, and on completion, one ramp of this will lead directly into MCTC, and as a result, all MCTC bound buses, including BMTC buses, will be able to enter MCTC directly. The arrangement will then be something similar to that which is prevalent at Shantinagar. To add to your woes - the reservation counter in KBS and MCTC (Kerala) is not interlinked. Is this the fault of Kerala SRTC or Karnataka SRTC? All of Karnataka STRC's counters in Bangalore are networked, and I fail to understand why Kerala SRTC cannot pull up its socks and provide better service to its customers. I cannot understand what is the government gaining by adding to the vehicular population in the city. The buses from MCTC (run by Tamil Nadu) have to run through the city to reach Hosur road for their journey ahead! Even Kerala buses running via Hosur road have to cross the city! Agreed, this is certainly a foolish move. When the buses bound to Hosur were shifted here, there was talk of them using the ORR via Banashankri, BTM to reach Hosur Road. But it never materialised. IMHO, the solution could lie in diverting these buses through Mysore Road till Kengeri, via the NICE corridor between Kengeri and Electronics City, and from there to Hosur on NH-7. But this will be possible only when pending work on the NICE corridor is completed at Kanakapura Road Junction (Talaghattapura) and Bannerghatta Road Junction (Gottigere). Meanwhile, there are some news reports which seem to suggest that services to Hosur road side would be handled at Shantinagar - this is a welcome step. Nooooooooo!!! Good heavens! God forbid! There is hardly any space available at Shantinagar, and the present design of the bus stand there makes it feasible only for shuttles which arrive and depart instantly, like BMTC's services or KSRTC's shuttles to Anekal and Hosur which operate from there at present. Moving all Hosur-bound buses there would create a traffic nightmare in Wilson Garden and surrounding areas, and worsen the already bad traffic situation there. I havent seen 'any' city bus to new satellite bus station.I wonder how do i get there if SETC gets shifted. Just thinking of a fanning trip to the new bus stand. On a side note, shanti nagar is under utilised bus stand. They can move part of the services to here. I am not sure if you ever travel long distances by bus...atleast those who do, with agree with me. Changing buses while traveling with baggage is a pain in itself. I'd love calling this the silliest statement... From most parts of city, KBS is well connected and pax manage to reach there by a single bus. To proceed further to MCTC, then need to alight at KBS and then hunt for the next bus - which sadly is too less in frequency. In the absence of a queue facility, getting into a bus from PF18 is another nightmare (esp if you have luggage). The shuttle service from KBS waits till the bus gets full, and then stays put till the driver finishes selling tickets. This consumes a huge amount of time. "Apart from being positioned on a key arterial road (Mysore Road), the terminus is well-connected by two others - (Chord Road, Outer Ring Road)." Are there any buses running through "ANY" of these routes that could take you to MCTC? I am not talking of passengers who can afford a rick or take their own cars (most such pax have already shifted to Karnataka buses - which shamelessly still departs from KBS, or to private buses which ensure they cover each part of the city before heading out). For the common man, public transportation is needed - and sadly is absent for the new place. The issue of connectivity still remains a pain in the neck for most people residing towards the southern parts of the city if they need to take a train from YPR. The situation is far from solved. BIAL has much better connectivity these days - thanks to the frequent shuttles operated by BMTC. That is not the case with MCTC or YPR. Again.. 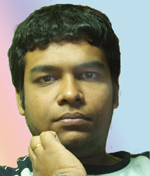 I am not sure if you ever travel frequently to BMTC Shantinagar - I do and on a daily basis. The design of the terminus is surely bad, but is not that bad that they can't operate buses to HSRA. You would be surprised to know that KSRTC already operates quite a lot of their "Rajahamsa" buses from Shanti Nagar instead of KBS towards TN. All special buses head out straight from Shanti Nagar instead of going to KBS. Infact, all Rajahamsas of KSRTC are maintained at their Shanti Nagar depot, and it makes commercial sense to operate it straight from there! The buses from Shanti Nagar can straight away head to Lalbagh and then take its normal route... where did the interior road of Wilson Garden come into picture here. Even today, buses from MCTC have to cross the same route! So, in effect you reduce all the traffic between MCTC and Lalbagh. And, the report is not about shifting all services to Shanti Nagar, but the service which are now being "kicked" out of KBS i.e., Kerala SRTC/TN SETC buses which currently operate out of KBS via Hosur/Salem. The TNSTC buses were were shifted to MCTC a year back would continue from there, and would be later shifted to the "new" satellite station once it (and if it ever) materializes. "one ramp of this will lead directly into MCTC, and as a result, all MCTC bound buses, including BMTC buses,"
MCTC bound buses still go into BMTC, but the issue is buses coming to the city. There is no such provision being made there and buses still continue running via the main road itself. There is not even a pedestrian crossing for passengers who need to walk all the way to the BMTC stop (buses bound to KBS/Market). The BMTC station that was constructly newly too was built with a very constricted mind. The station is already congested, and if KBS buses too starts pulling in, it will cause another road block! Hats off to the "outstanding" planning in Bangalore. And thanks to the corrupted to the core state machinery, you need not expect anything to happen in the city atleast till 2020. Metro - less said the better. Works have not even begun on the mysore road, and is just foolish to expect passengers to bear with the inconvenience now for a better convenience which is expected after they are dead and gone. Malayalees are a breed of people who travel to their home town often - that could be one reason why buses (especially the ordinary ones) always goes full to kerala. As far as possible, I avoid travelling any distance by bus outside city limits. It is not my most preferred mode of long-distance travel, and I use a train wherever possible. However, I have travelled long distances by bus in the past and I am not alien to the concept. Changing buses while traveling with baggage is a pain in itself. I think this would be better termed a 'necessary evil' rather than a 'pain'. If some greater common good (easing of congestion @ Majestic) is to be achieved, then IMHO, some individual discomfort (changing buses) is a small price to pay. To proceed further to MCTC, then need to alight at KBS and then hunt for the next bus - which sadly is too less in frequency. Next time, look out for route 222A (KBS-KST). There is a bus available every ten minutes . This leaves from PF-19A and not PF-18. Are there any buses running through "ANY" of these routes that could take you to MCTC? *401Q : MCTC-Yelahanka via Vijayanagar, Basaveshwaranagar (WOC Rd. ), Mahalakshmi Lyt., YPR, Mathikere, Jalahalli. *176A : MCTC-Kavalbyrasandra via Vijayanagar, Rajajinagar, Malleshwaram, Sadashivanagar, Ganganagar. *65B : Banashankari-KHB Colony via Jayanagar, Ramakrishna Ashram, Basavanagudi, Chamarajpet, MCTC, Vijayanagar. *60A : Jayanagar 9th Block-Vijayanagar via Ramakrishna Ashram, Basavanagudi, Chamarajpet, MCTC. *205/205A/MBS23 : Banashankari-Banashankari (ring route) via Jayanagar 9th Block, BTM Layout, Madivala, Koramangala, Domlur, Indiranagar, Coles Park, JC nagar, Mekhri Circle, YPR, Mahalakshmi Lyt., Basaveshwaranagar (WOC Rd. ), Vijayanagar, MCTC, Chamarajpet, Ramakrishna Ashram, Hanumanthnagar. *MBS22 : MCTC-Marathahalli via Girinagar, Hanumanthnagar, Ramakrishna Ashram, Lalbagh, Shantinagar, Richmond Circle, Halasur, Indiranagar, Thippasandra, BEML, Basavanagar. *500M : MCTC-Agara via PES College, Banashankari, Jayanagar 9th Block, BTM Layout, HSR Layout(ORR). These are buses in which I have either actually travelled or observed at MCTC. There are more routes, which are supposed to operate from MCTC, but have not been done so for reasons best known to BMTC. However, the above routes itself cover most parts of the city and all the areas that I had mentioned in my earlier post. For the common man, public transportation is needed - and sadly is absent for the new place. Apart from the abovementioned BMTC buses, there is also a well-stocked auto stand outside the entrance to the KSRTC terminal. The design of the terminus is surely bad, but is not that bad that they can't operate buses to HSRA. I never disputed this-in fact, I pointed out that KSRTC's shuttles to HSRA/Anekal do operate from there comfortably. My opposition is to long-distance buses operating from Shantinagar. All BMTC buses headed towards Hosur Rd./Bannerghatta Rd. from Shantinagar pass through the interior roads of Wilson Garden, and if KSRTC/TNSETC starts operations from there, won't these buses too take the same route? Further, if these buses are to be operated from Shantinagar, either the existing terminus will have to be expanded or a new one will have to be constructed, which will require KSRTC/BMTC to raze one more of their depots. I am not sure if they would be willing to do this. and would be later shifted to the "new" satellite station once it (and if it ever) materializes. Which 'new satellite station' are you referring to? The BMTC station that was constructly newly too was built with a very constricted mind. The station is already congested, and if KBS buses too starts pulling in, it will cause another road block! Agreed. So perhaps KSRTC will expand the BMTC terminal-let's keep our fingers crossed! Hats off to the "outstanding" planning in Bangalore. And thanks to the corrupted to the core state machinery, you need not expect anything to happen in the city atleast till 2020. Why so bitter? I agree that it is not perfect, but they did what they could at the time, and there is always scope for improvement. I am not so pessimistic, and I am hopeful of seeing changes by 2012 itself. PPP projects can really be pulled of punctually-just look at BIAL. Just pay regular visits to Old Madras Road, or to the under-construction depot at NGEF (BYPL), and you will be impressed with the pace at which the work is progressing. Malayalees are a breed of people who travel to their home town often - that could be one reason why buses (especially the ordinary ones) always goes full to kerala. So perhaps, you could get together with other travellers and petition BMTC for shuttle services, a la Vayu Vajra, from various parts of the city to MCTC. ""All BMTC buses headed towards Hosur Rd./Bannerghatta Rd. from Shantinagar pass through the interior roads of Wilson Garden, and if KSRTC/TNSETC starts operations from there, won't these buses too take the same route? Further, if these buses are to be operated from Shantinagar, either the existing terminus will have to be expanded or a new one will have to be constructed, which will require KSRTC/BMTC to raze one more of their depots. I am not sure if they would be willing to do this."" Why on earth would they? Is there a rule that buses are required to take this route? Infact, KSRTC Rajahamsa buses which currently operate from Shantinagar, simply take a right from the bus station, then a left and straightaway land up at Lalbagh. From there a left and you are already heading to Hosur! Why would those buses take the congested road through Wilson Garden (the BMTC route)? No comments on your other points - I am not here to argue and my post was just from a passengers point of view. Not a planner point of view. looking at the way things are progressing in the city, I am least optimistic about things. The PPP model would take off IF AND ONLY IF the government too co-operates with them. For gods sake - don't praise the glorified warehouse BIAL. In addition to being far from the city, it already is saturated! What hell planning have they done to have the airport saturated on day one? With the pace of works and the way they are executing it, is causing more pain to commuters than the benefits the project(s) intend to give. The elevated highway project is one such glorified example. Although they barricaded the entire thing, the planners did not bother to may the existing road motorable, and at the end it turned out to be bottlenecks every where. Anyways, the authorities would not reverse their decision. When the state government took pains to shift the cheaper state government buses outside the city, why on earth have they spared the private ones? They congest roads much more than the humble state buses, and are into outright day-light robbery. This clearly proves my logic of the government "hatching" a plan rather than "planning" a project. No more comments on this: Bangalore is perhaps the most ill-planned "metropolitan" city. The city has not kept its pace with the way new firms mushroomed here. The infrastructure is still "just adequate" to hold the traffic that existed before the BPO boom. Satellite bus stations are a good concept, provided the transport authorities provide enough commuting facilities to reach them. MCTC, sadly, has failed on this count. You cannot simply ask passengers to find their own way out while the buses are kicked out of the city. De-congestion is a necessary evil, but should be done only after necessary alternatives are made. It is absolutely not fair to tell passengers to keep waiting for facilities that are expected decades later. Have the facilities ready here and they tell passengers to use "Satellites"! 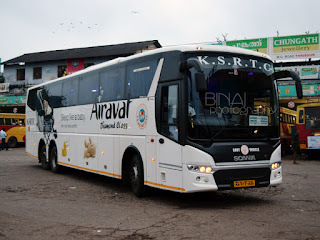 "All Rajahamsa / Meghadoot / Ultra Deluxe / Semi Deluxe services bound to destinations in Tamil Nadu from Bangalore excluding Volvo (Airavat) services will start from Shantinagar BMTC Bus Station on K.H. Road instead of KBS (Majestic) from 19/10/2008 onwards. These Buses will not depart/arrive from/to KBS. Passengers travelling to TAMIL NADU are requested to make it convenient to board these Buses from Shantinagar Bus Station and co-operate." So, they are reading your blog, where you have commented "Services to Hosur road side would be handled at Shantinagar - this is a welcome step. " Rajahamsa etc had to rush to the shantinagar bus stand from KBS. BTW, how far is the shantinagar bus stand from KBS? I hope they all reached in time. I will be arriving from Mysore (Madikeri) by bus into Bangalore - i assume at the Mysore Satellite Bus stand on Mysore road. I then need to take a bus to Pondicherry. 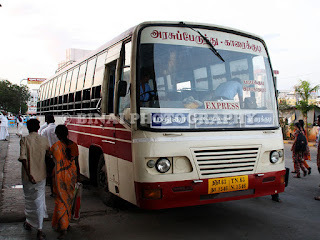 From the web i understand that the bus for Pondicherry departs from Kalasipalyam OR Gandhinagar OR Madiwala. Are any of these bus stands near the Mysore Satellite bs - if so then which is the closest and what is the best way to get there. Some buses from Mysore side continue to terminate at Majestic. Just confirm from your conductor as to where would your bus terminate. If your connecting bus departs from Majestic, you'll get a "shuttle" bus right outside the bus station (MCTC) itself. For all others, come out of the bus station, get on to the main road, and walk about 300-500 metres to your right (towards Bangalore). There is one BMTC bus stop. You'll get buses to Majestic/Kalasipalayam from there. How Mysore Road Satellite Bus Stand got its name as "Satellite Bustand"? Is there a "cloak room" in the Satellite Bus Station at present. I am on the way from Mumbai - Ernakulam.. Will be in the city one day morning and has the bus to EKM only at 9 in the night. So, any facilities to keep my lugguage the whole day, so that I can enjoy the city ?? Is there a cloak room available in the satellite bus station by any chance ? Yes. A Cloak room is available at Satellite bus station. IIRC, its inside the bus station, near the reservation counters. Can anyone let me know the acronym of MCTC? The word satellite when used as an adjective means sorrounding and dominated by a central body. Since the bus stop on mysore road helps reducethe load on KBS( central body here), therefore its called a 'Satellite' Bus Terminus. No takers for the Rs. 5 scheme?